Can’t get enough of Pokemon on your mobile? 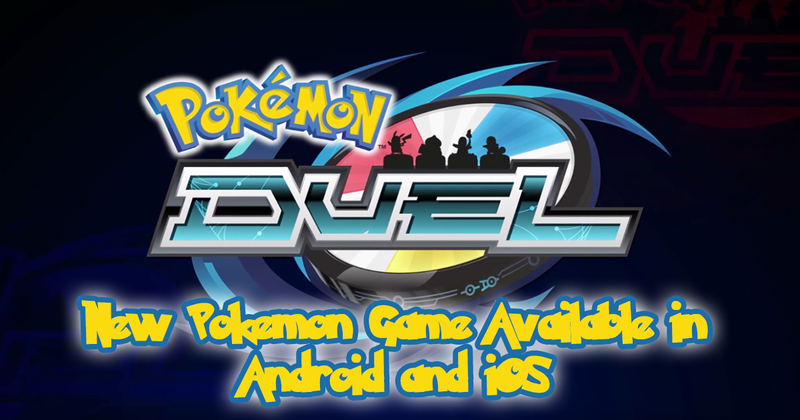 Then you may want to check out Pokemon Duel – a game just like a board game designed for mobile, and it requires strategizing to succeed. The live PvP is one of the biggest attractions here, but there are other elements in the game that Pokemon fans will like. In a nutshell, Pokemon Duel is a digital version of capture the flag set on a digital board game. There is a movement rate for each Pokemon, and there are several paths so you can reach the back row center spot on the opposing player’s side. Of course the opposing Pokemon are trying to reach your side of the board as well. Each battle lasts for 5 minutes only so you have to be quick. As these Pokemon figures battle, their combat dials come to play as they have the attack capabilities. If you’ve played Pokemon before, you know how that works. Pokemon Duel also has plates (Pokemon cards) that allow for more strategizing. You can also upgrade and customize your Pokemon, and you decide which combat dial components you want to tweak. There are a lot of Pokemon available, plus there are a lot of matches and single player options. There’s even a Pokemon story built in the game, and the graphics and sound are what you’d expect from the series. If you’re a fan of Pokemon or just looking for a cool strategy game, this is a good choice.